Dietary supplements—vitamins, minerals, botanicals, sports nutrition, weight management and specialty supplements (such as omega-3 fatty acids, glucosamine/chondroitin and CoQ10, to name just a few)—are regulated. The Food and Drug Administration (FDA), the Federal Trade Commission (FTC), and state agencies have clear authority over dietary supplements through the Federal Food, Drug and Cosmetic Act (FDCA) and the FTC Act. FDA is charged with inspecting manufacturing facilities, reviewing labeling and monitoring products for safety. FTC pursues deceptive, false and misleading advertising. 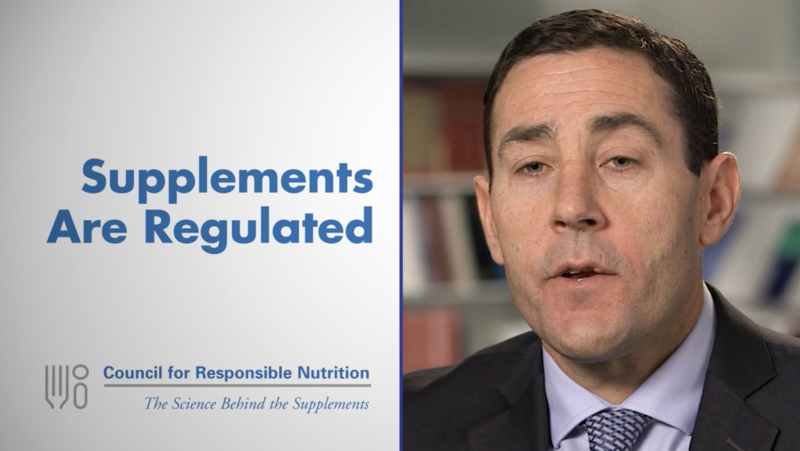 Claims that dietary supplements are not regulated or are “loosely” regulated are inaccurate. In addition, CRN and its member companies, and others in the dietary supplement industry actively engage in self-regulatory initiatives to complement government regulatory efforts. Check out some commonly asked questions about dietary supplement industry regulation. Check out one of CRN's webinars or in-person events. Visit our newsroom for the latest CRN press releases.